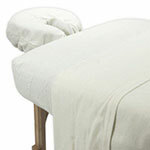 In the world of massage and Reiki therapy, comfort is top priority. It is easy to say that you want the top equipment for your client, but the expenses might not be what you have prepared for. This is especially true for those who are just starting out. Investing in a good table is already costly. Investing more in accessories could get you bankrupt even before you began to operate. 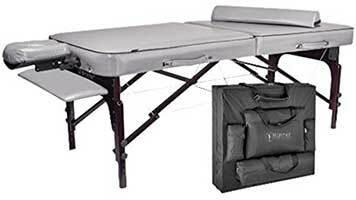 It’s a good thing that there are all-in-one massage table packages out there that come with the add-ons to get you started quickly. 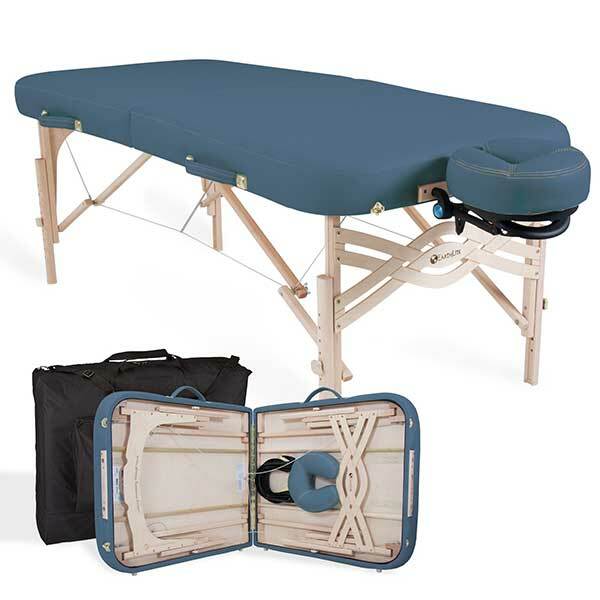 However, these add-ons don’t last long, particularly the massage table sheets and covers. It is highly suggested that once profits start coming in, table sheets should be first on your To-Upgrade list. 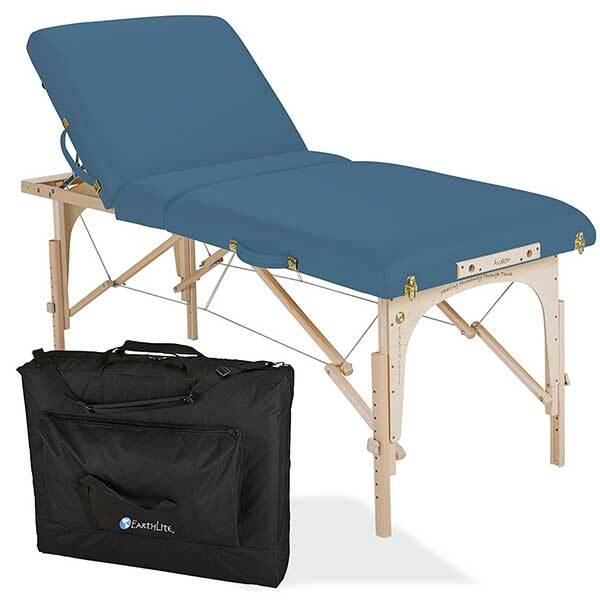 Why Upgrade Your Massage Table Sheets Right Away? 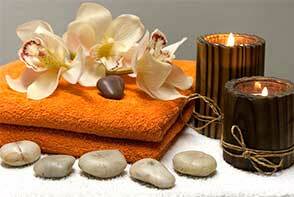 When clients walk into a therapy room, they expect an environment that’s soothing and sanitary. 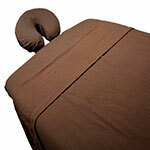 Sheets are the very symbol of cleanliness inside your room. Seeing nice sheets leaves a good impression on you and your services. However, it does not stop there. Nice looking sheets also have to mirror their level of quality. Otherwise, they will wear out quickly when used on multiple clients over and over again. 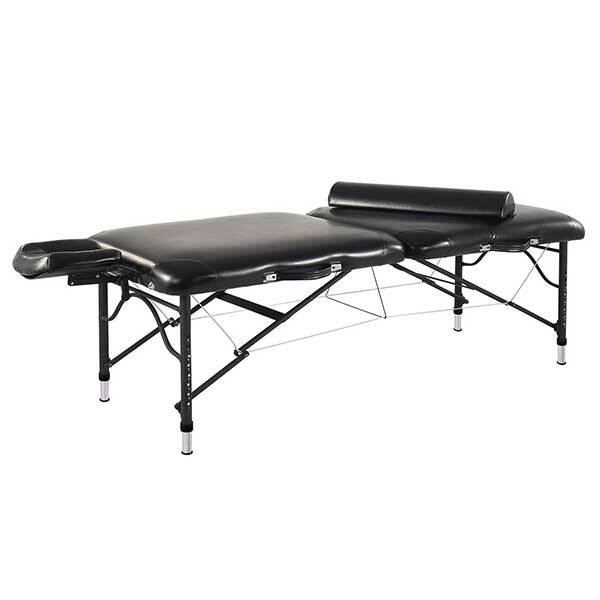 Table sheets also play an important role in protecting your massage table. 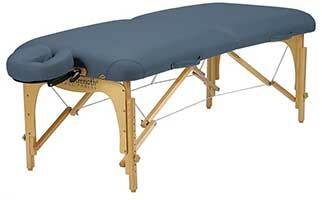 Most, if not all of the massage or Reiki tables being sold today have synthetic leather known as PU leather. This material does not last long, particularly when used frequently. If exposed to moisture for an extended period of time, the leathery material will split up and create a rough and uneven surface. The cost of repair or replacement is certainly a concern since more often than not, only the manufacturer has the proper tools and materials to do it. What Brands Are Highly Sought After? The chart below outlines the sheets that practitioners prefer and have a lot to say about. Click on the link or the image to see the reviews and to find out which ones are suitable for your budget. 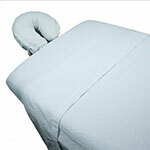 There are different types of massage table sheets. Your options include flannel, cotton, fleece and polycotton to name a few. Flannel sheets have loosely knit stitching and are considered to be the most preferred because aside from being cost-effective, they’re also soft and warm. Flannel is usually made from wool, synthetic fiber or cotton. Cotton, on the other hand, is regarded as a more affordable alternative. However, it has a tendency to wrinkle and wear out quite easily. It is also known to shrink after a while. Fleece is soft and fluffy but rather costly. It is often made with bamboo or hemp with a blend of cotton. In cold places, fleece is a very effective fabric to keep clients warm. Lastly, polycotton is a blend of cotton and polyester. A distinct characteristic of polycotton is that it doesn’t stick to the body as cotton does. It’s also woven to allow air to circulate, so polycotton is generally cooler than cotton. Overall, it is better than its natural (cotton) counterpart. Table sheets are often measured by thread count. The higher the value, the better the quality and the more expensive they are. A high thread count also means that the fabric can tolerate more washing. Sheets are usually sold in sets – one for the face cradle and another one for the table itself. 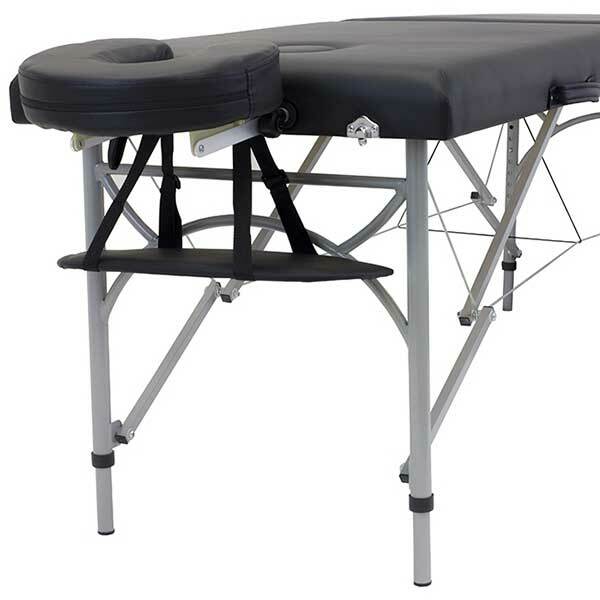 The sizes are standard and will fit most massage tables and face cradles. If they fit loosely, a Bed Band will come handy.